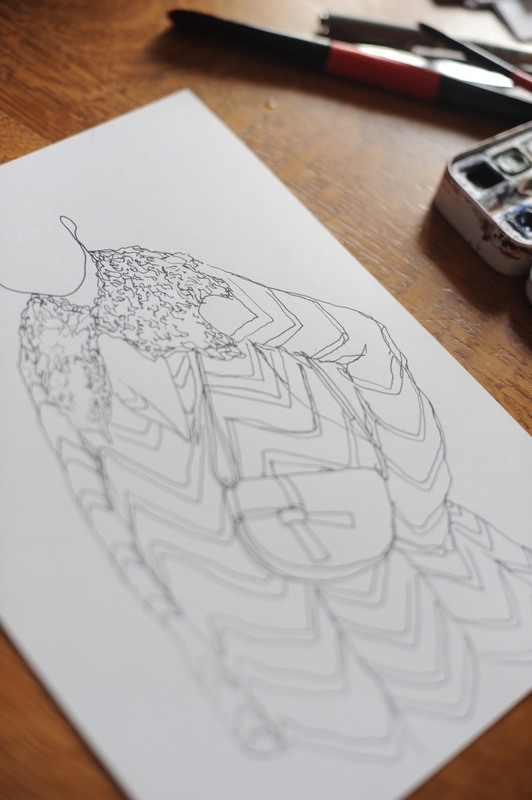 Fashion illustration has been making a comeback the last few years by capturing what a camera can’t, alumna Megan St Clair Morgan is one of the artist aiding the movement. She talks to us about bridging the craft of drawing with fashion, working with MatchesFashion and her forthcoming late at the Wallace Collection. Megan St Clair Morgan for JW Anderson’s exclusive capsule collection on Matches Fashion. Since graduating in 2016, Megan has been balancing illustration and her creative commissions with a position at London College of Communication. She caught our eye during her degree and has been working for brands and clients across Europe, including Matches Fashion, SHOWstudio, Stephen Blake Kanika and JW Anderson to name a few. On Friday 20 April, Megan will be part of Wallace Collection’s Friday Late series ‘Morgan Stanley Friday Lates: A Bridge to the Continent’. 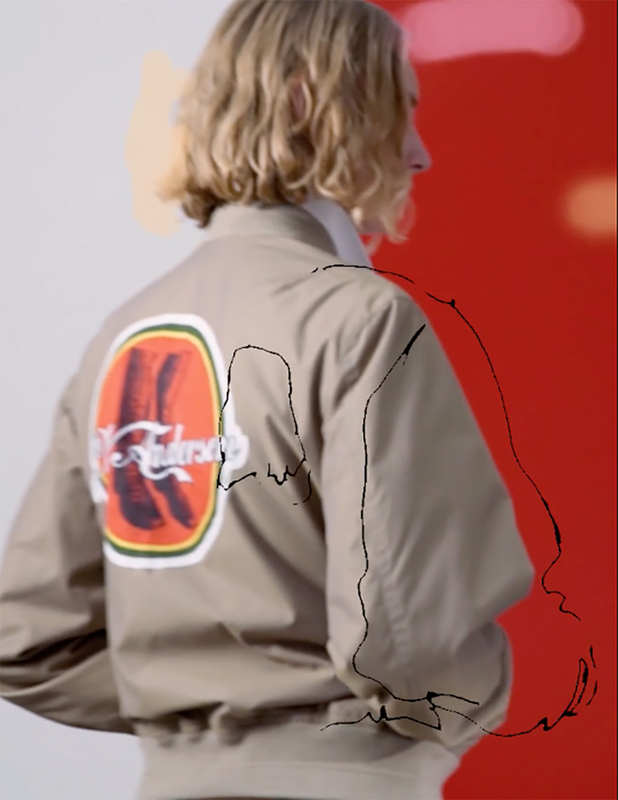 Joined by Stylist and Creative Direction of PETRIe Inventory, Fabio Merche, the pair will be leading the ‘Europe Fashion Salon’ – teaching an interactive fashion illustration class in the Great Gallery. Three models will be styled on the evening, all outfits will be comprised of young designers from UAL, both students and recent alumni, then Megan and Fabio will be teaching the techniques they learnt to the audience that evening. We dig deep into her life and motivations below. Megan St Clair Morgan for Stephen Blake Kanika. Who is Megan St Clair and what do you do? Myself but shortened I suppose, I have a very long confusing name… I moved to London aged 16 to study at London College of Fashion (Access to HE Fashion), continuing studies on BA (Hons) Fashion Illustration. During my studies I worked throughout, doing live illustration at both fashion week and for brands in stores and at events. Moving gradually to build a larger coverage of shows across Europe, predominately covering London, Paris and Milan for various publications and clients. Widening the work I do now into advertising and creative content for brands and retailers. What made you want to get into illustration, do you remember the moment? I always drew a lot, my dad had an office in an art studio throughout my childhood so I was constantly surrounded by art. I got into illustration mainly when I was introduced to David Downton’s work during my BTEC in Art at GCSE level. It kind of snowballed really. But seeing the reality of the job whilst studying at LCF really spurred me on, you don’t exactly expect people to draw all day and get paid for it! Megan St Clair Morgan for Loewe AW18 PFW. How did LCF open your eyes to the world of fashion and beyond? I started off very young and unaware of what I wanted to do in fashion but knew I wanted to work in the industry. LCF helped introduce me to every small part of this industry, it’s crazy how many courses and specialisms LCF teaches, this really opened my eyes to the business as a whole. It enabled me to meet many people, working in very different pathways. It led me to many opportunities to work within the industry, I really wouldn’t be where I am without it. A huge mural for the Truman Brewery which was up for around four months. 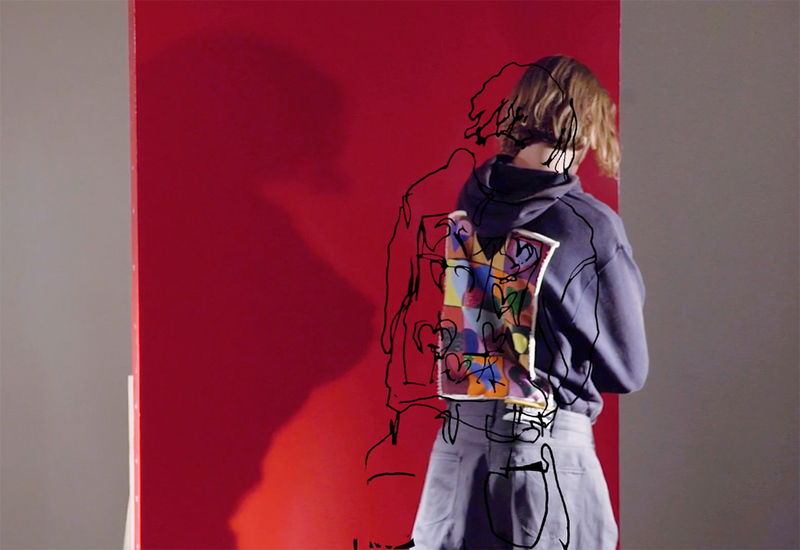 Various projects with Matches Fashion – Menswear content for SS18, JW Anderson’s Capsule etc. Was on a SHOWstudio panel discussion for Marni. Cover artwork for Grammy award-winning artist Stephen Blake Kanika’s Revolution Song. Collaborated on content with Petrie Inventory, Colorproof, various PR companies and brands. 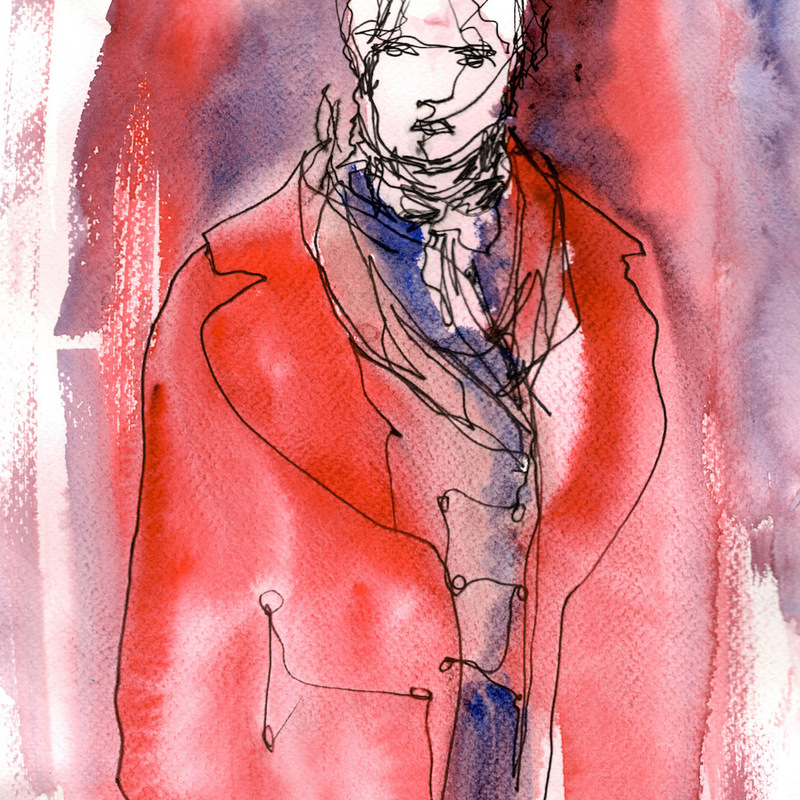 Taught illustration at various places: LCF, Art Academy London, British Museum amongst others. Can you tell us how you got involved with Matches Fashion and JW Anderson? The first project I ever pitched was to MatchesFashion after meeting one of the team whilst drawing at Marques Almeida a few seasons back. I pitched a range of moving image GIFs for social media use over men’s fashion week SS18. That went ahead and had a great response. I then was called in and asked if I’d like to be involved in the project to launch JW Andersons’s new exclusive capsule collection launching on Matches, of course, I said yes. It continued from there, it was the dream client brief for me, moving-image, illustrated but also with a great team and for a great brand. I’m on a cloud anytime it’s mentioned, still feels very surreal knowing such large and established companies want and are using my work. What do you want to achieve with your live drawing? I drew live on set whilst they filmed the video and that enabled a part of my animated illustration process, all the drawings used were originally drawn live as they filmed the advert. I always try to achieve an element of movement and life within my drawings, I always feel you capture so much more live than drawing from photos and video. It’s partly why I fell in love with drawing the catwalk, there’s an element of the mistake within the work which I feel keeps it quite grounded. PFW AW18: What was your weekly schedule and what shows did you cover? It was the usual schedule for me I suppose, I wasn’t covering this season for a publication so spent a lot of time at client appointments, re-sees and meetings alongside shows. I covered Issey Miyake, Beautiful People Tokyo, Loewe, Ottolinger, Marimekko and Lutz Huelle amongst others. It was a lovely season minus the sub-zero temperatures. What were the trends forecasted and from who? I’m terrible at trend forecasting, as I usually say, ‘I just draw stuff’ and notice the trends months after! I think if I had a bit more time to process the looks I’d piece things together a tad more! I enjoy the fact I’ve been able to make a living from drawing. I naturally respond to fashion through my line work, it’s a real dream to be paid to draw all day. But mainly the opportunities and places it takes me, it opens up so many doors. Where do you see yourself in two, five and ten years’ time? Still working part-time in communications probably – I think it’s key to keeping your sanity as a freelancer to have something different alongside. Keeping the rent paid in London is always a stress… But for illustration goals, I think in the next two years I’d like to be with an agency. I’ve been meeting a few recently but want to make sure it’s the right one. And who knows for further down the line, so much has happened to me since I joined LCF 5 1/2 years ago, so I think as long as I keep working as an illustrator and am still excited by the projects I work on, I’d be more than happy with that.